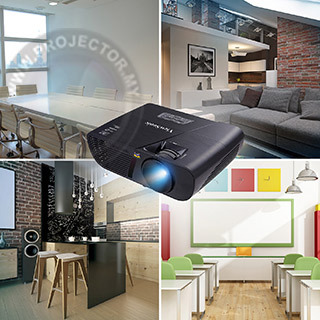 The brand new LightStream™ Projector PJD5155L integrates elegant style and intuitive design, HDMI & VGA connectivity and best in class colour and sound performance thanks to exclsuive SuperColor™ and SonicExpert™ technology. The PJD5155L is equipped with 3,100 lumens brightness, a 6-segment color wheel, standard resolution 4:3 (SVGA 800 x 600) and 10,000:1 contrast ratio for great image quality even in spaces with high ambient light. Eco mode further reduces power consumption by up to 70% and extends the lamp life by up to 10,000 hours. 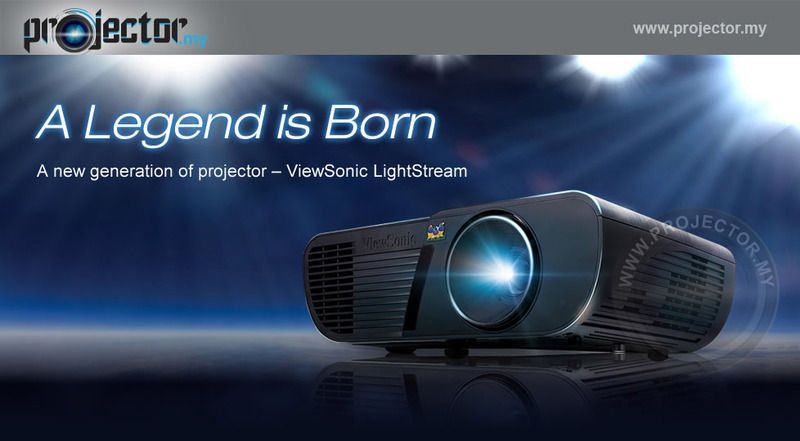 With its dot texture finish and curved edges, this LightStream Projector stands out from the competition. A tactile keypad provides ease of use with raised and concave buttons, plus a central reference button. 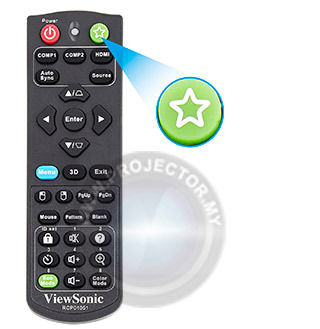 These assist in making set up easier in dark environments or if the projector is ceiling mounted. The best and easiest way to connect to most modern devices is through an HDMI (High Definition Media Interface) cable. HDMI carries both video and sound thus limiting the requirement to attach an additional audio cable, as is often the case with other input options. Packed with 3,100 lumens the PJD5155L is guaranteed to produce bright images in any environment – even in rooms with high ambient light. The impressive 10,000:1 contrast ratio also ensures that dark and bright areas are more black and white and less grey in appearance. Finding a function through the on-screen menu can be time-consuming. 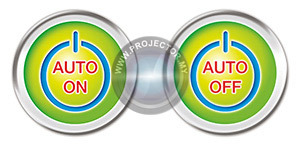 The “My Button” button on the remote control is a programmable shortcut button that can be user-programmed to launch any desired function. 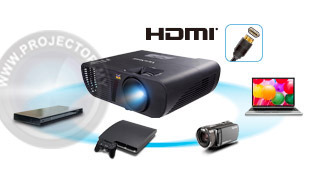 With 'Auto Power On' enabled, once a cable is connected and signal detected, LightStream projectors will power on automatically with effortless start-up. 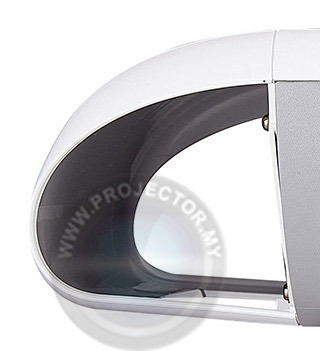 When no signal is detected, the projector will automatically power off after a user-defined amount of time – saving electricity cost, reducing energy consumption and extending the life of the projector. 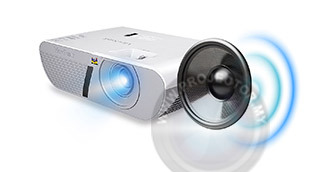 You'll have amazing 120Hz 3D capabilities at your disposal with this LightStream Projector. 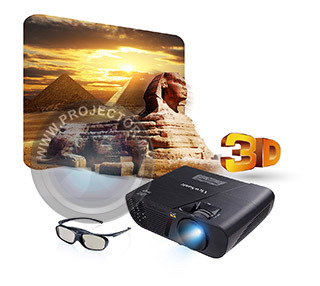 All that’s required to unlock this stunning 3D are optional ViewSonic 3D active shutter glasses (PGD-350) and a 3D source. 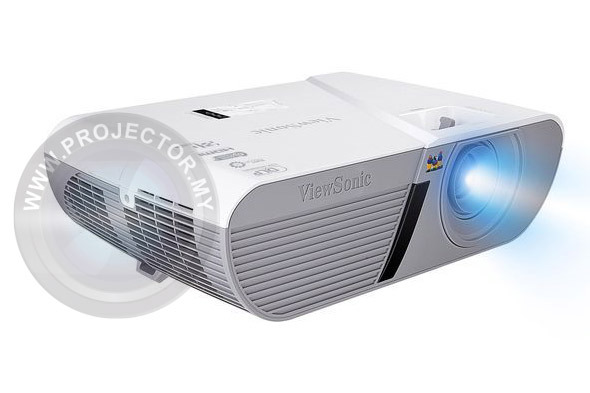 Unleash a vivid 3D experience with the ViewSonic LightStream projectors today. 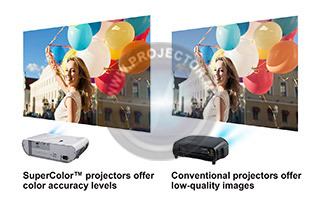 ViewSonic’s proprietary SuperColor Technology offers a wider color range than conventional DLP projectors. With an exclusive 6-segment color wheel design and dynamic lamp control capabilities, SuperColor Technology projects images with reliable and true-to-life color performance, in both bright and dark environments, without sacrificing image quality. Screen Size 30" ~ 300"
Always use HTML Tidy to get rid of all the dirty markup in your code. This message was added to your document because you are using the free version of our online HTML tool. Please subscribe to remove them.